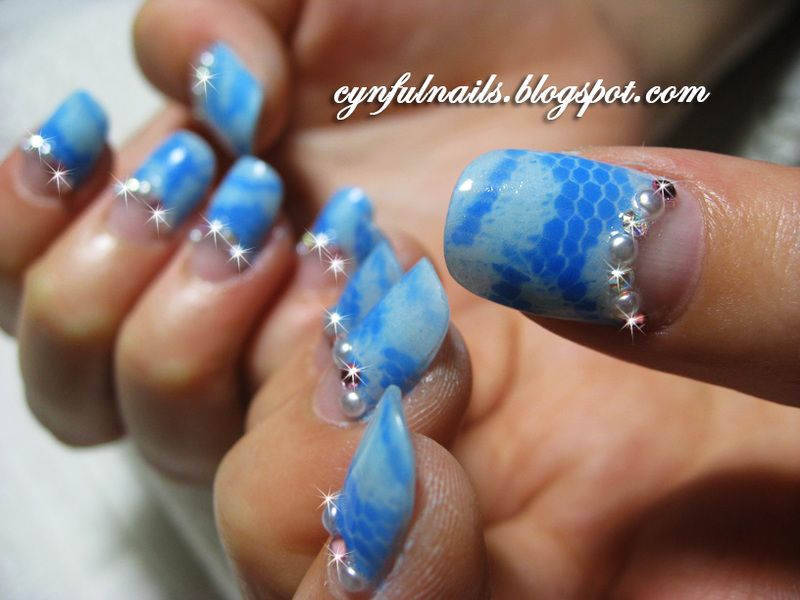 Airbrushed blue lace! Nail design inspired from June10 Nail Max issue. This issue is full of denims, florals and laces designs. LOVE! My camera failed to capture the actual shade of blue. -____- The actual color looks more contrasting, a lighter blue base and a darker blue airbrushed lace design. Airbrush is love. But it's also messy and tedious. HAHA. Pretty nails sure don't come easy. Some samples I did few weeks ago but I know took forever to post them on my blog. Sorry! 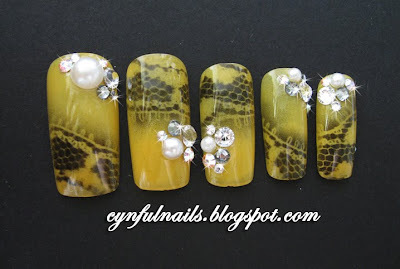 Design from Nail Max. Pink airbrushed stripes. 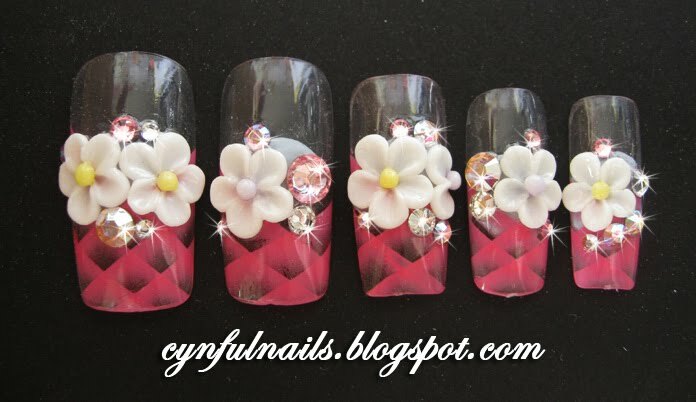 Embossed flowers and crystals. Design from Nail Max. 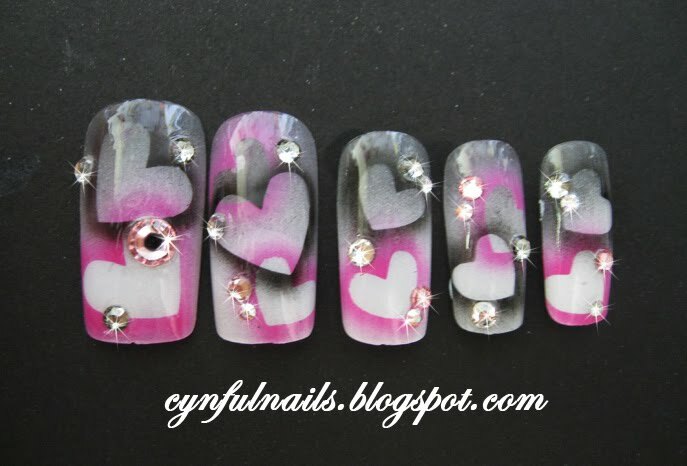 Airbrushed black and violet hearts on a white gradation base. 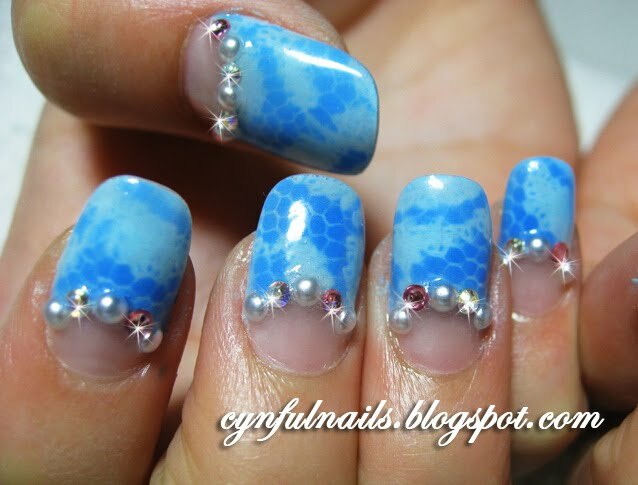 Design from Nail UP! I modified the base color from Peach (original design) to orangey yellow. And airbrushed black laces on! Lovely nail art and design. These are unique with others. Keep it up. Rates are also genuine.